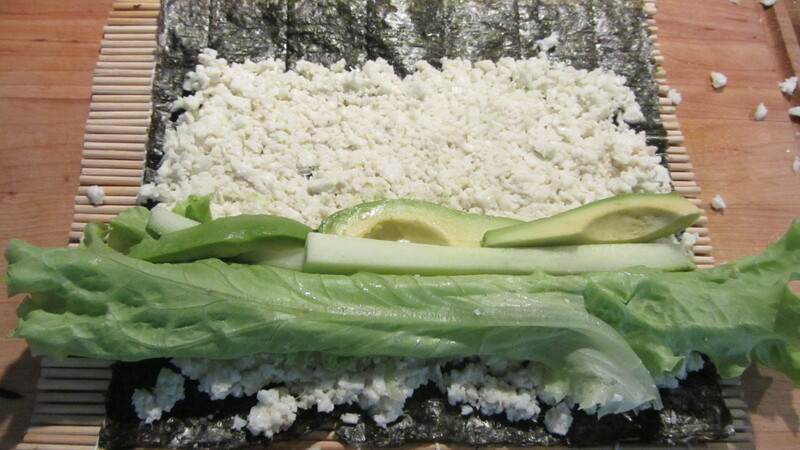 Raw sushi – can not be good!?! Or can it? After a long time no see I finally have something I want to write down to remember it. I have always had problem with sushi. I just can not make it taste so good at home as it is is my favorite (expensive) sushi place. I have tried all the tricks available online. Rice just isn’t right. Finally I solved it – do not use rice! Don’t cook anything! Pretend that raw cauliflower can be your cooked rice. Weird but it worked. Raw sushi was surprisingly good. Even great. I couldn’t stop myself eating one roll just with my fingers…no wasabi..no ginger…nothing. Amazing! Still – since I have eaten only raw food for almost two weeks now, I wouldnt take my opinion as a final truth. Put it in test. And let me know how it went. 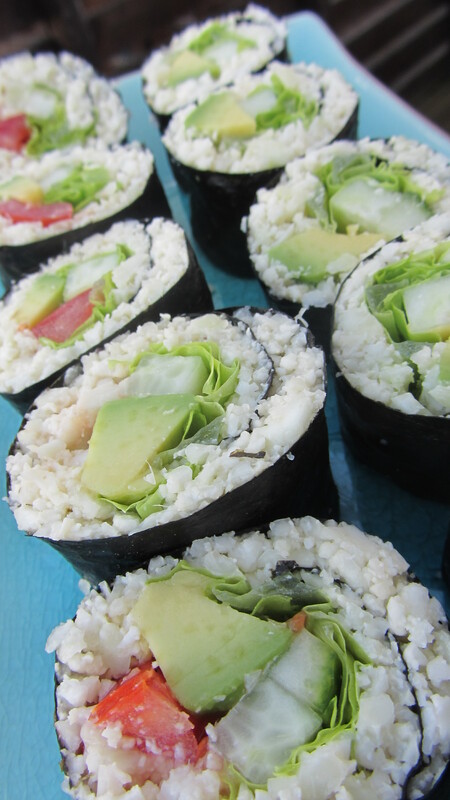 put it all together and you have your sushi rice ready to go. 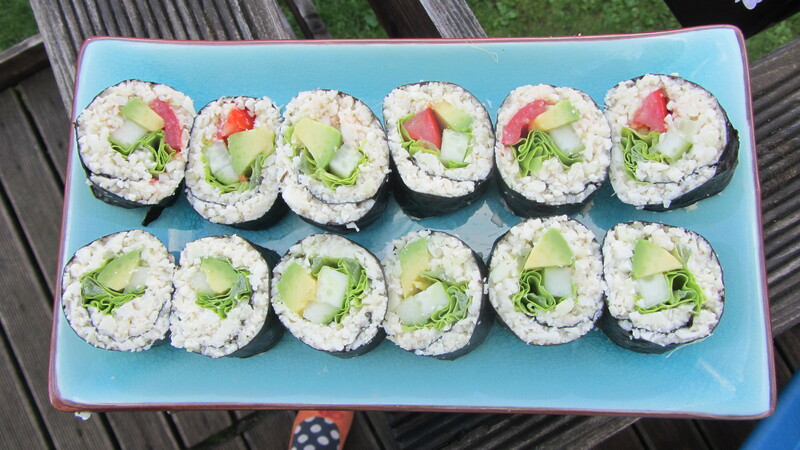 choose whatever you like in your sushi and roll it like regular maki. I had cucumber, tomatos, lettuce and avocado. Next time I need my wakame! For dessert we had some strawberry milkshake. 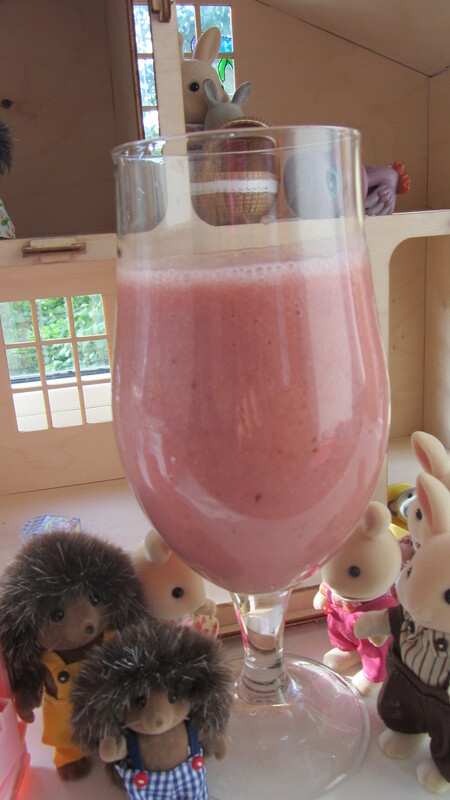 Mine with oatmilk, banana (half), dates (4), and strawberries (5 big ones). omg…im on my way….start rolling !